Cops wake up every morning different from the rest of us. Our worst nightmare is just their Wednesday. You will be blown away. Whether you are a first time viewer or a die-hard, three-year fan; the SouthLAnd season four premiere will make you smile, cringe, gasp, hold your breath and tug at your heart. Partnerships appear to be a central theme this season. The new pairing of Officer John Cooper (Michael Cudlitz) returning to full duty after back surgery & drug rehab and Officer Jessica Tang (Lucy Liu) who has encountered her own on-the-job difficulties is an interesting dynamic. It should be fascinating to watch its progression throughout the season. And Cooper fans rest assured, the recovered Coop has lost none of his sarcasm. 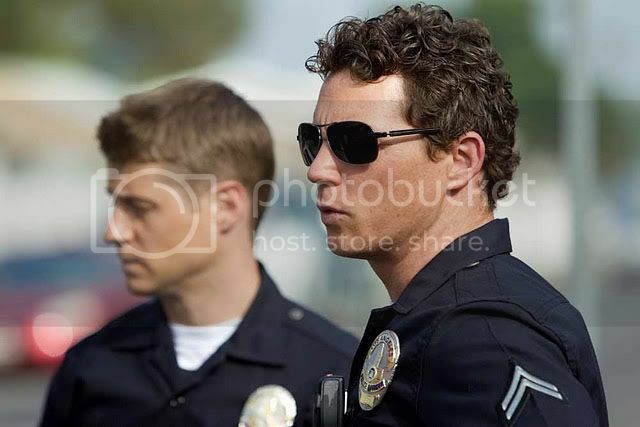 Ben Sherman (Ben McKenzie) and Sammy Bryant (Shawn Hatosy) seem to be equals now in the police fraternity; both are young, bachelors and dedicated to their jobs. Their “Wednesday” has a promising beginning (with a scene McKenzie fans will relish); then turns into a rush of run & gun. They encounter several intense & dangerous situations that Ben views quite differently from veteran officer Danny Ferguson (Guest star Lou Diamond Phillips); leading to friction between the two. Lydia Adams (Regina King) is now a mentor to Ruben Robinson (Dorian Missick). This partnership seems to flow naturally, especially since Lydia is back in the driver's seat; both literally and figuratively. Lydia deals with a problem from her past while Ruben is adjusting to his new role as a detective trainee. And Lydia’s last sequence of scenes sums up SouthLAnd in its entirety…dramatic, heartfelt, conservative yet spot on dialogue, breathtaking photography and superb acting. Hang on tight. Season four is just getting started and after viewing the premiere? It looks like the best season yet. SouthLAnd airs every Tuesday at 10EST only on TNT.